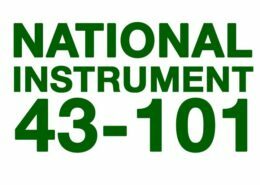 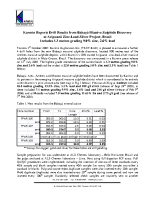 KARMIN Announces Receipt of NI 43-101 Compliant Resource Estimation at its 30% Owned Aripuanã Base and Precious Metals Project, Brazil. 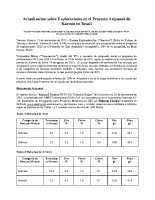 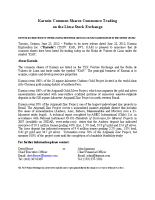 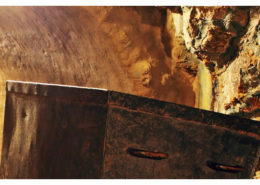 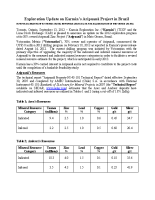 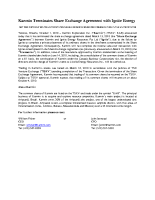 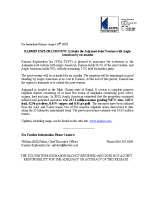 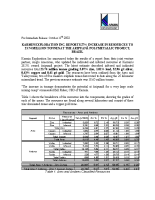 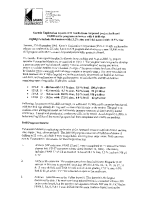 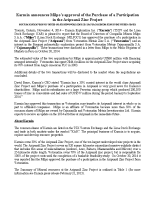 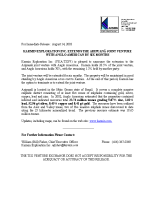 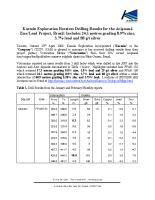 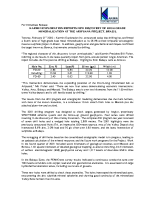 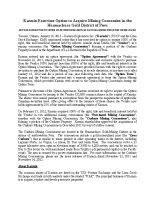 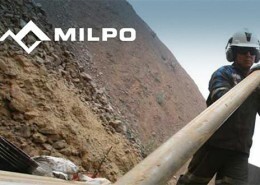 Indicated Resource of 27.7 Million Tonnes Grading 6.6% Zinc Eq. 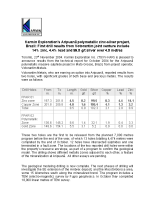 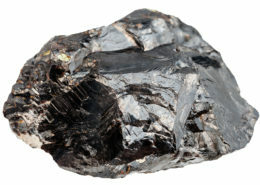 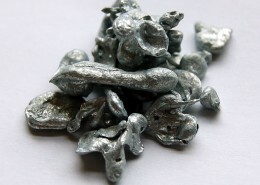 13 metres of 13.1% zinc and 5.4% lead from drilling at Aripuanã zinc project, BRAZIL. 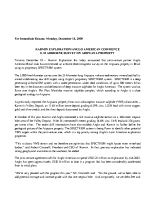 Partners announce US$3 million program for 2006. 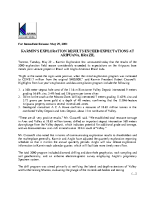 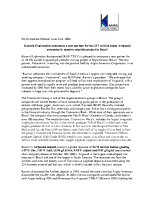 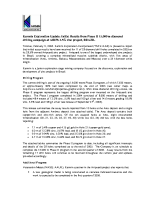 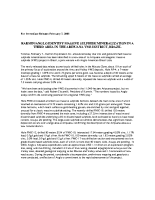 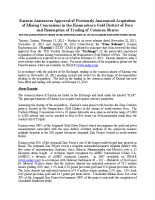 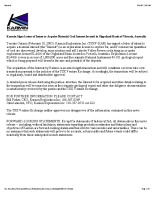 Karr Securities Inc. Increases Interest in Karmin Exploration Inc.
Kamin Exploration reports drill results from Aripuanã project in Brazil 15,000 metre program underway with 4 drill rigs Highlights include 48.4 metres with 13.2% zinc and 14.6 metres with 18.5% zinc. 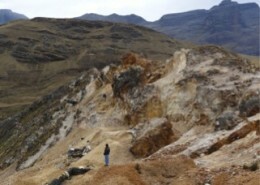 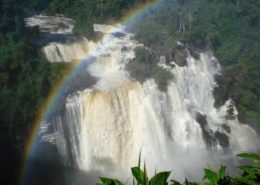 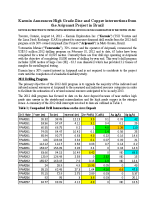 Exploration progress at Aripuanã zinc project, Brazil. 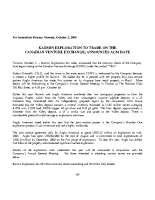 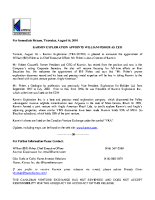 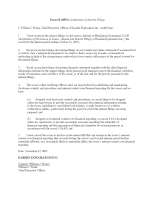 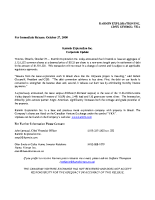 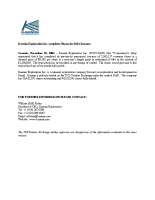 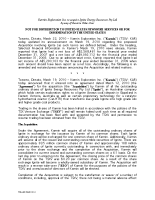 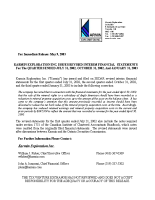 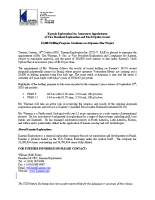 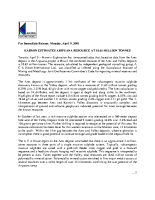 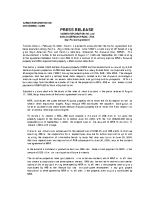 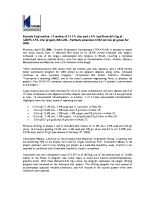 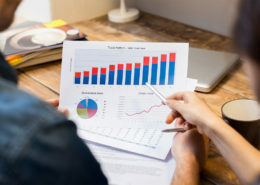 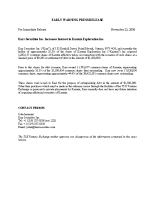 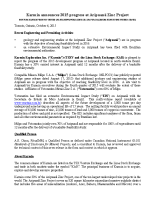 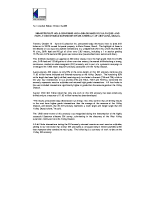 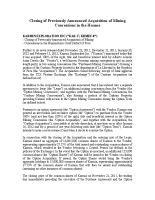 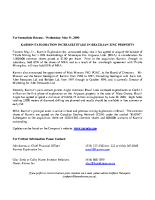 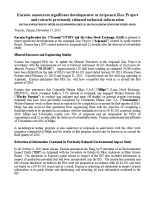 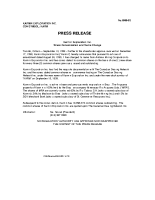 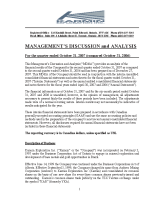 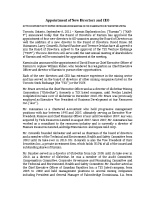 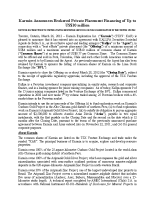 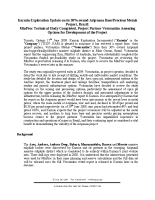 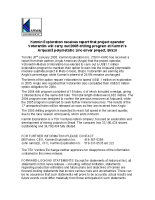 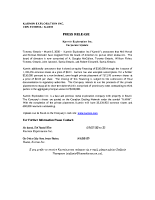 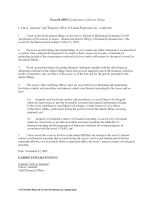 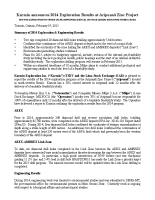 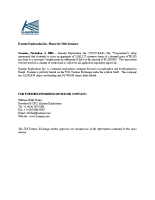 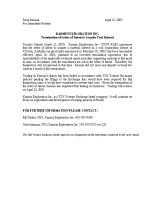 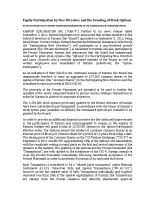 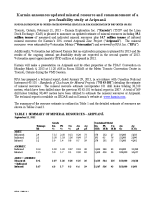 Karmin Exploration Inc. issues revised interim financial statements. 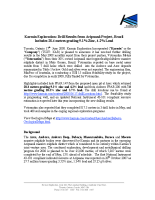 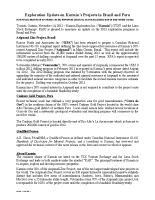 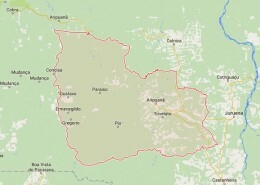 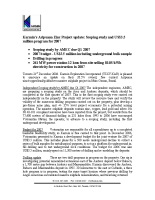 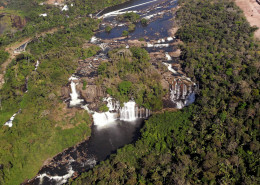 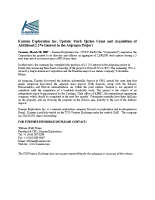 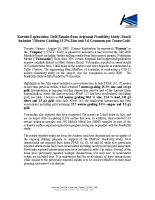 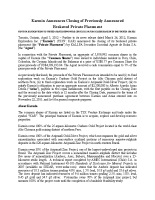 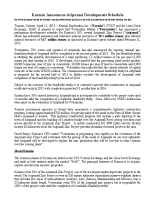 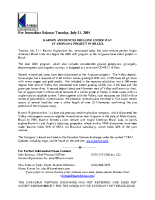 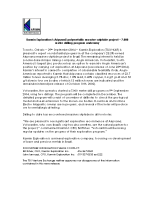 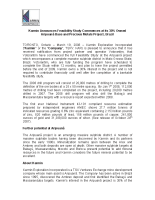 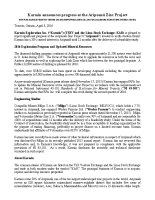 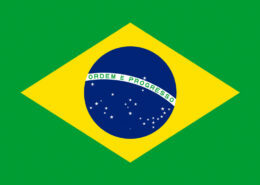 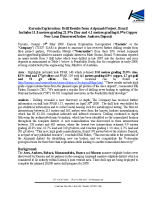 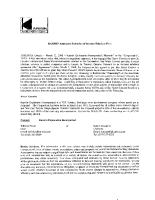 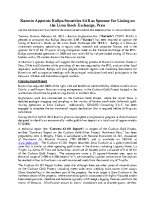 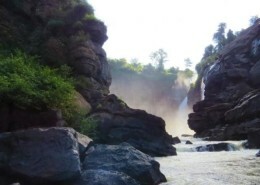 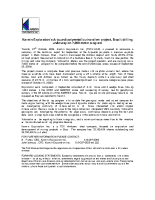 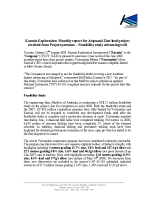 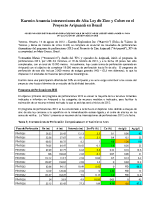 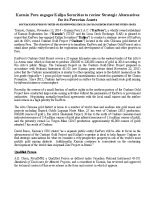 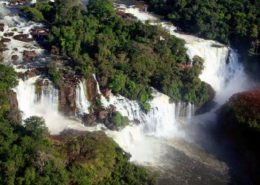 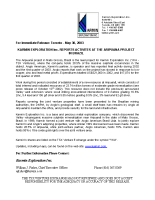 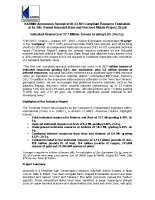 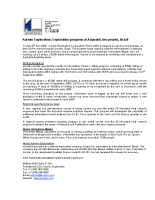 Karmin Exploration Inc. reports activities at the Aripuanã project in Brazil. 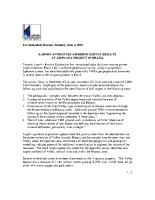 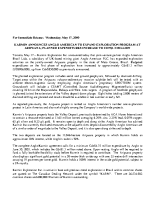 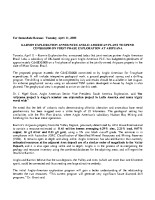 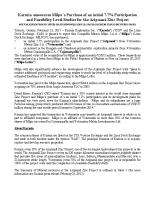 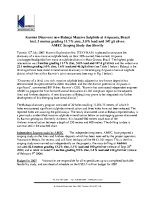 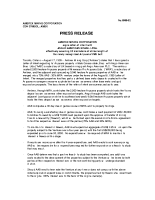 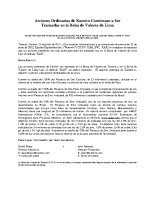 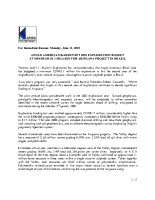 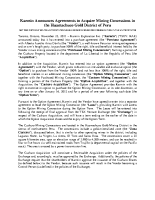 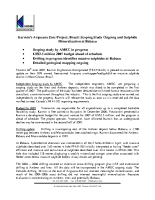 Karmin Exploration Inc. Extends the Aripuanã Joint Venture with Anglo American by six months. 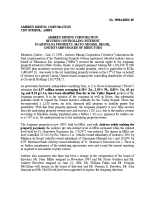 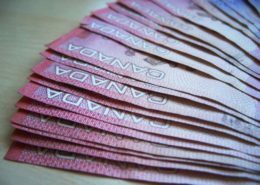 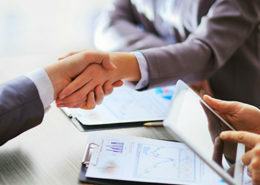 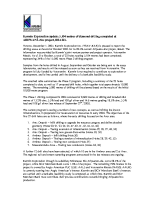 Karmin Exploration Inc. today announced that it intends to issue an aggregate of 5,155,532 common shares at a deemed price of $0.33 per share to a non-arms length party in settlement of debt in the amount of $1,701,325.